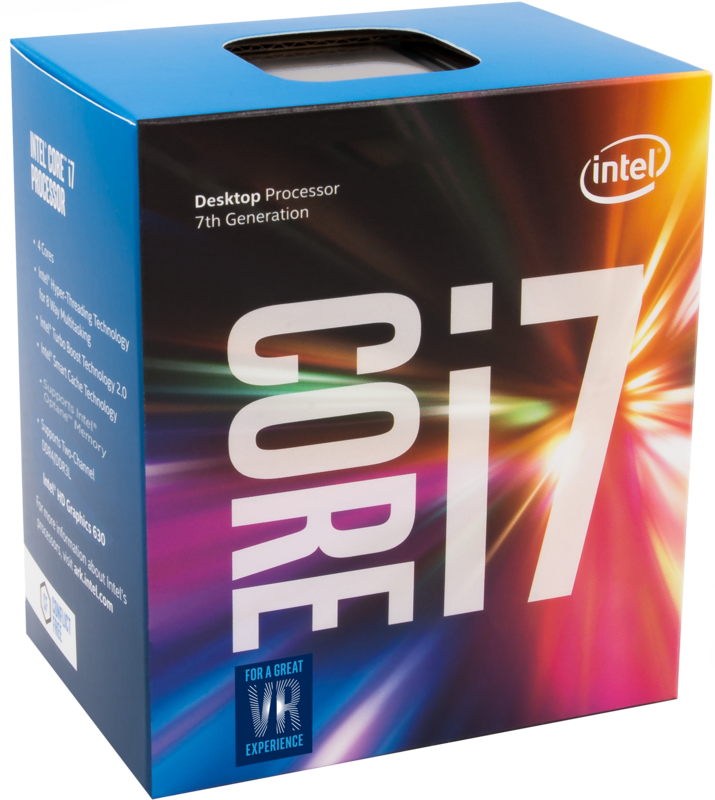 The i7-7700K, launched today, is Intel's fastest ever consumer grade processor. 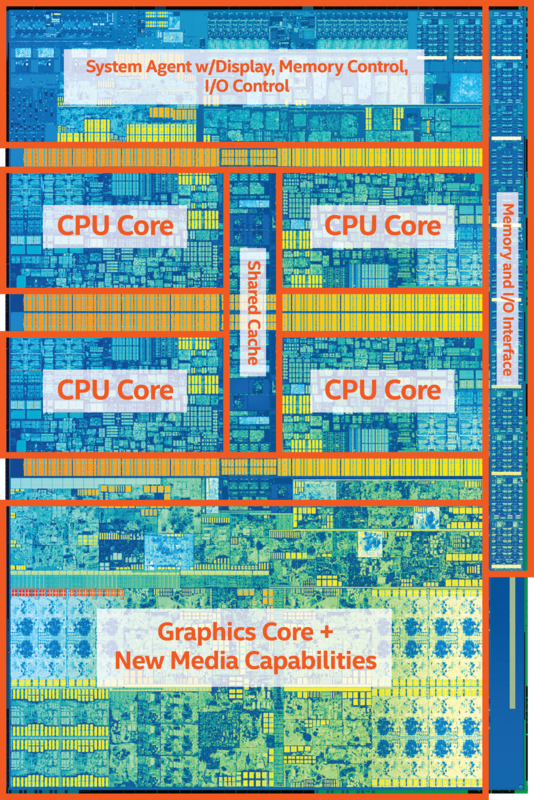 Using Intel’s third set of processors at 14nm, using the new 14+ variant, we get processors with a better frequency / voltage curve that translates into more performance, better efficiency, and the potential to push the silicon further and harder. Here is our review. 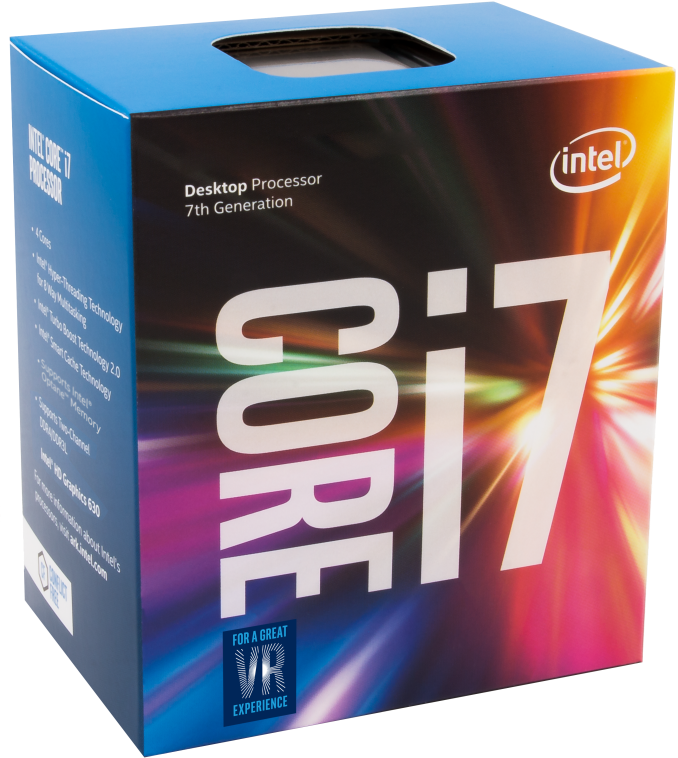 The i7-7700K is part of Intel's 7th Generation of Core CPUs, which often goes by its internal code name 'Kaby Lake'. The Kaby Lake family, as of today's launch, stretches from 91W on the mainstream desktop down to 4.5W for notebook processors, all using the same underlying technology in different core and integrated graphics configurations. The i7-7700K is the top part of this processor family, featuring four cores with hyperthreading, a 4.2 GHz base frequency, a 4.5 GHz turbo frequency, a couple of new tricks and all for $303 list (so about $330 retail). As a processor with the letter K in it, in Intel's lingo this means the i7-7700K is an unlocked processor. Users with enough nous to understand the relationship between frequency, voltage, temperature and stability can take this processor above (or below) its standard operating frequency to get more performance without spending more money. The upshot of pushing the processor in this way is usually a higher power consumption, something that PC enthusiasts usually have to spare, and in the wrong hands a broken CPU through overclocking is worth the same as sand. There are two other K processors in the Kaby Lake family, the i5-7600K and the i3-7350K, which both have separate reviews as part of our launch coverage. Intel calls the desktop like of processors the S series, and Kaby Lake-S (or KBL-S) ranges from a dual core low power 35W i3-7100T to the high-end 91W i7-7700K. The idea here is to offer many different parts at different price points to cater for customer needs, such as performance, power, cost and feature set. With every launch Intel tries to entice users to upgrade from their older system (citing hundreds of millions of daily PCs being 3+ years old), and so having new features is key to having better performance too. With the high-end i7-7700K, being the top processor, the main draw is typically performance and overclockability. This review aims to take us through both of these, and the reasons why. Comparing it to the previous generation high-end i7-6700K Skylake processor, we get the same configuration of cache hierarchy. 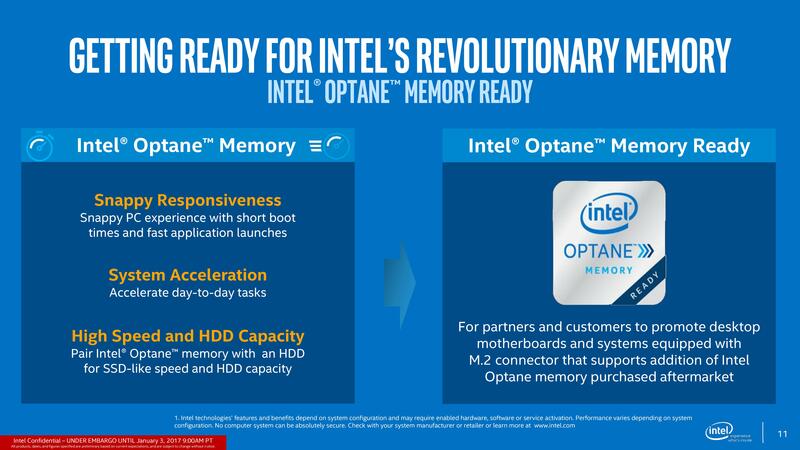 The main difference between the two will be support for DDR4-2400 on the Kaby Lake rather than DDR4-2133, updated integrated graphics, a new generation of Speed Shift, AVX Offset support, and support for Intel’s ‘Optane Memory’. 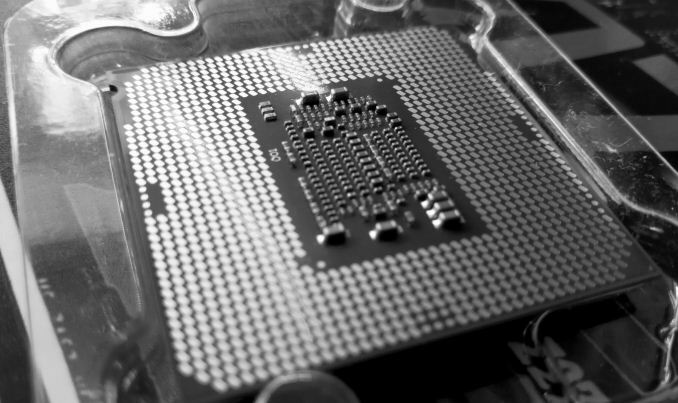 Typically with each new generation of Intel CPUs brings about a fundamental increase in performance through the rate of instructions per cycle/clock (IPC) that the processor can go through. That being said, Intel has stated (and we've confirmed through testing) that Skylake and Kaby Lake are identical for IPC. 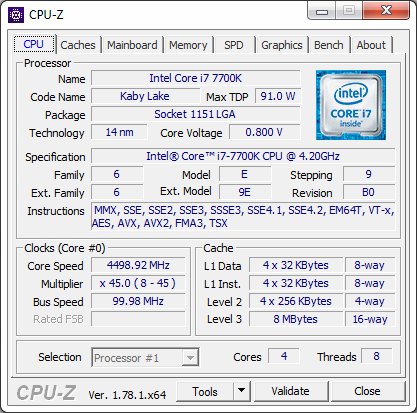 As a result, the i7-7700K attempts to take the performance crown through frequency alone. 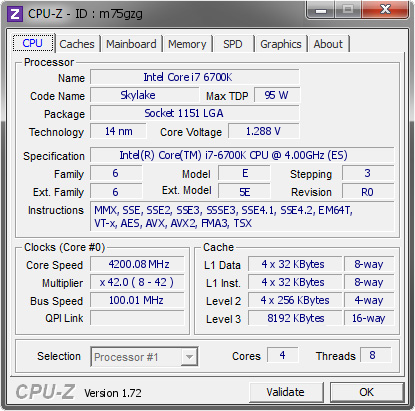 The i7-6700K runs as 4.0 GHz base and 4.2 GHz turbo, while the i7-7700K runs at 4.2 GHz base and 4.5 GHz turbo. We quantify what this means in this review. 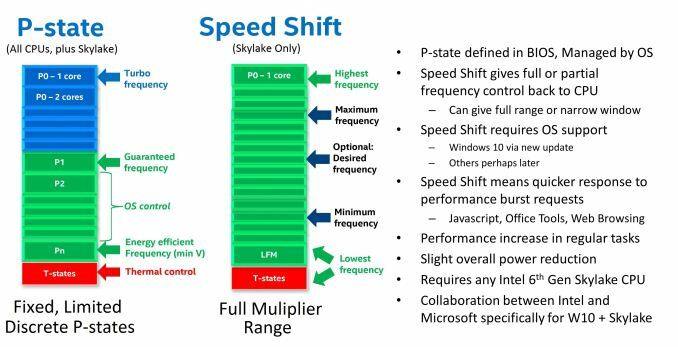 For the i7-6700K family, Skylake, Intel introduced Speed Shift (v1). This was a feature that, at a high level, gave control of the voltage/frequency curve from the operating system to the processor. Using a series of internal metrics, such as instruction analysis and frequency, the CPU would automatically adjust the voltage and frequency of the processor as required. This afforded two major benefits: one, with the CPU in control it has access to many more points on the curve compared to the OS which is limited to specific P-states on the processor. 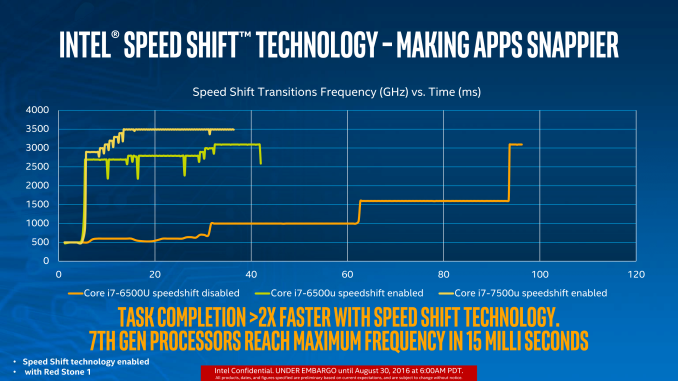 What Speed Shift v2 does in the i7-7700K and the Kaby Lake family, compared to v1 in Skylake, is manage those transitions to higher frequency faster. Before Speed Shift, transitions from idle to peak turbo were on the order of 100 milliseconds, and Speed Shift v1 took that to 30 milliseconds (with a good base established within 15). Speed Shift v2 means that peak performance from idle now happens in 10-15 milliseconds total. This means that interactions with the OS, such as touch, or actions that rely on low latency, can occur within a couple of frames on a 60 Hz display. I just wanted to give you guys a super big THANK YOU! for testing under Windows 7 64-bit SP1, now I can be excited about the 7700k again! stfu, it is a pretty useless upgrade. 10-20% over a 2600k is nothing to be excited about. "In most of our benchmarks, the results are clear: a stock Core i7-7700K beat our overclocked Core i7-4790K in practically every CPU-based test (Our GPU tests showed little change)."